Using your mind’s eye to get different perspectives of the systems challenge. Imagine yourself as an original anchor point. My term for this is the Physical Viewsource anchor point. Then, imagine a copy of yourself (a cloned image) at the end of a visual sightline, the Referent View. As if you are looking into a mirror image without the mirror frame. Imagine the image several metres away. Then, step into the shoes of your cloned self-image. In those shoes, you occupy the 1st Referent Anchor. Now, step behind the face of that closed Referent Anchor image. 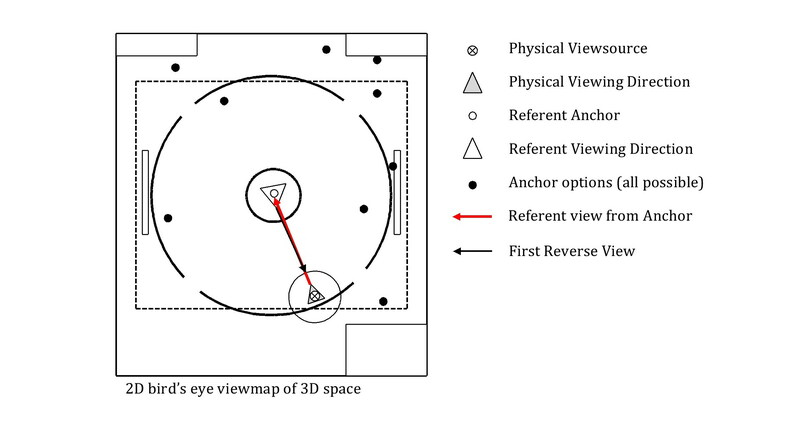 Experiment by looking through the eyes of the Referent Anchor face, repeating the creation of a mirroring Referent View along another sightline to a 2nd mirror image, a 2nd Referent Anchor. By way of example, while Carl Callewaert managed the teaching session at Unity 5’s 2014 Roadshow in the main assembly hall at Vancouver’s SFU Wosk Centre for Dialogue (09 Dec 2014) . 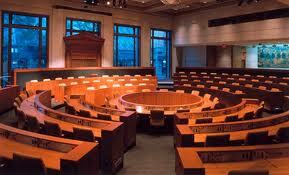 . .
After moving into and visually mapping the hall . . .
. . . I projected my view into the centre of the hall (this became my 1st Referent Anchor), then rotated that projected view into rotating planar Referent Views; looking through that projected view into the visible frame (for example, lying back and looking up to the hall’s coffered ceiling from that projected plane). And, desiring to look back at myself, looked through those projected eyes to focus in on the physical me (and other students in the narrow/physical localspace/personal field of view) whilst simultaneously looking back into my projected eyes through my local eyes. Interestingly, when shifting to “widescreen” across the in-projection’s projected field of view, the “physical-me-view” gets fuzzy. Too much data, maybe. This practice can be extended to various points in the space. 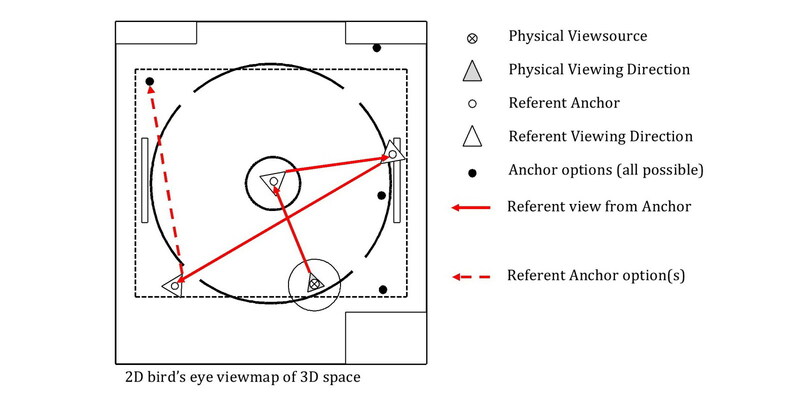 Once setting a Referent Anchor, move to that point and survey the space from that point. A bit like Spiderman on the side of a skyscraper. 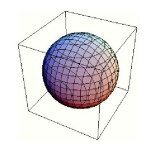 Remember, this happens in livespace in 3-dimensions, and can be reconstructed on paper. 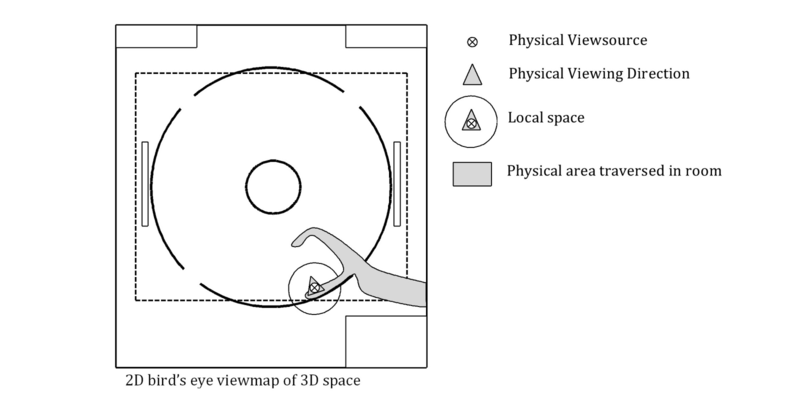 And note also: because there is a regularity to the space, assumptions can be made about the shape and details of the space that are not visually visible from the Physical Viewsource anchor point. With practice, it becomes possible to image both physical and imagined space by developing Referent Views of every available viewpoint. 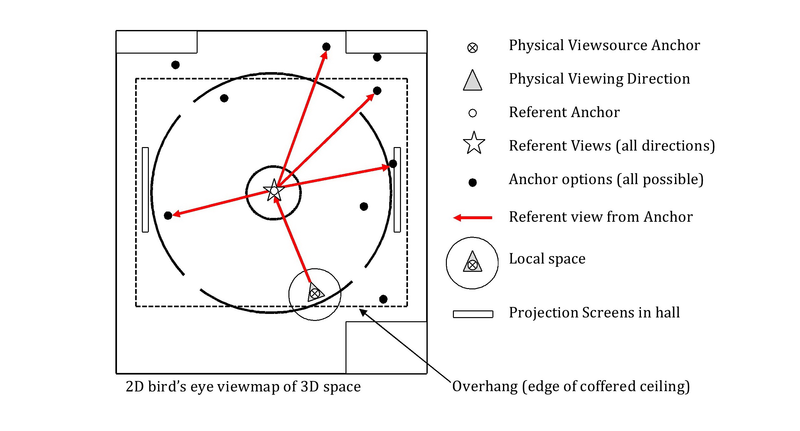 This becomes the framework for the imagined space, and the localspace view becomes much like an Avatar in gaming (where the view through the gamescreen is the Physical Viewsource and the 1st Referent Anchor is your Avatar). It becomes especially neat when physical space definitely matches the imagined/images/virtual space. For background, please read the page about thought process.